This story started out to be all about the .375 Holland & Holland Magnum cartridge. As it turned out, the smoke had hardly cleared from my first shooting session when half a dozen more rifles had shown up ready for action, each one having something different to say about the personality of the cartridge. The .375 Holland & Holland Magnum is one of the very few cartridges entirely appropriate to take anywhere in the world and use on anything that moves. It is also generally regarded as the minimum caliber for Syncerus caffer, but this has not prevented it from stopping the charges of literally thousands of them over the years, nor has it diminished its widespread use as one of the top Cape buffalo killers today. Not so long ago, some unfortunate instances of miserable marksmanship on the part of a few safari clients triggered the usual mindless bureaucratic reaction, and the traditional legal minimum caliber for dangerous game in some countries was raised from .375 to .40. As though a gut-shot with a .416 is any better than a gut-shot with a .375. But I’m told that in actual practice such questionable regulations are left to the interpretation and discretion of the professional hunter. So the .375 H&H continues its worldwide reign. Unlike some other calibers responsible for hanging a lot of buffalo trophies on the walls of the world, like say the .577 Nitro Express, the .375 is also good for hanging a lot of other things. There is no shortage of hunters who say it’s good for everything. There’s probably not a species of animal anywhere on the face of the earth that hasn’t been taken with a .375, from endangered desert rats (just for fun) to record-book bull elephants (also just for fun). Developed by Holland & Holland in 1912, the .375 H&H was one of the original belted magnums. As high-quality, reasonably priced (compared to double guns) Mauser bolt-actions were made to accommodate the big magnum, it didn’t take long for the .375 to become the most widely used rifle in Africa. It remains so today. As usual, faced with a perfectly balanced cartridge, everybody tried to make it better. All attempts to make the .375 H&H better have been miserable failures, as simply cranking up velocities beyond the optimum -– the usual route to “improving” a cartridge –- quite often does more harm than good. This is especially true when the animal in your sights is not the least impressed with the fancy footwork of a bullet driven to an overly ambitious attack. An irritable old buffalo bull is likely to simply swat you down if you try to “float like a butterfly and sting like a bee.” Even Cassius Clay couldn’t always pull that one off, even when he got religion and changed one of the best names any father ever gave a son. The original (and recently re-introduced) .375 Weatherby was nothing more than an Ackley Improved H&H. Not satisfied with such a modest increase in velocity, they came out with the .378 Weatherby, best known for shredding bullets and bruising shoulders while seriously annoying dangerous game. The .375 Dakota duplicates H&H performance in a shorter cartridge designed to fit standard actions, a benefit for those who believe you should be able to chamber a round without the bother of retracting the bolt all the way. And Remington has recently come out with the .375 Ultra Mag, for those who think a high-pressure cartridge operating in a hot chamber under the African sun is a good way to enhance reliability. Perhaps the most attractive variation on the .375 H&H theme is the .376 Steyr, which actually duplicates the ballistics of the 9.3x62mm Mauser, undisputed king of African rifles until the .375 H&H dethroned it after World War II. The Steyr round has a little less velocity rather than a little more, a move which has often been known to increase penetration and killing power. Alas, the speed-freaks who’ve become accustomed to opening their bolts with hammers have predictably rejected it. “It might be imagined that an animal weighing a ton or more would be seriously incapacitated with a broken foreleg, and that his charge could not be very fast or difficult to stop. That sounds reasonable, but it does not apply to African buffalo … I’ve seen a big bull so wounded charge his companions again and again, roaring like fury, and bowl them over like nine-pins. So you will readily appreciate that a beast like that, coming at maybe 25 miles an hour and less than 10 yards away when you see him, takes a deal of stopping. 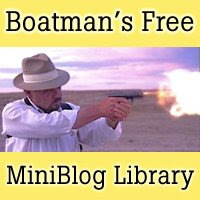 “I was carrying a double .375 Magnum loaded with bluff-nose solid 300-gr. slugs. [The bull] was standing behind a dense clump of undergrowth with a little clear patch in the centre of it, and there was a clear space about 11 paces wide between me and the clump … he was looking straight at me. I let drive immediately but my bullet had to find its way thru a tangle of twigs, and must have been deflected slightly … The bull dropped to the shot but in an instant was up again and coming. I sank to one knee and waited for him to break thru the bush. When he did, I gave him the left barrel fairly in the centre of his great chest. Well, the effect of that shot was exactly as tho there had been a steel hawser stretched across his path just the right height above the ground to whip the two forelegs from under him. He crashed on his nose and his knees and remained like that with his hindquarters in the air whilst I reloaded. I was about to give him a bullet in the spine when he keeled over – stone dead. The late custom riflemaker Fred Wells of Prescott, Arizona, was known the world over as a Mauser man. This is not to say that he didn’t have a soft spot in his heart for the occasional pre-64 Winchester. The pre-64 Winchester action is a little too fragile to be highly regarded in Africa, where the new Model 70 with controlled-round feed is preferred. But there was a time not too long ago when the pre-64 was about the only workable American bolt-action you could get if you had dreams of dangerous game and, for some reason I can’t imagine, found it impossible to get your hands on a Mauser. All of Fred Wells’ rifles were works of art, and this Winchester is no exception. The walnut is as beautiful as it comes, metalwork flawless and operation slick as glass, a worthy rifle for tough or dangerous game anywhere in the world. This sawed-off industrial-strength killing machine, also from Fred Wells, started life as a military-issue 8mm Mauser. It still has NAZI markings on the receiver. Wells lengthened the action to accommodate the .375 H&H, built a new magazine and installed a new 26-inch barrel, restocked it, and designed the rugged scope mount especially for the vintage (circa late 40s) long-eye-relief 2x steel Lyman scope which is still as clear and precise as it was half a century ago. The custom Mauser was beautiful, a work of art. But the wild-beast side of its personality was not long is asserting itself. The world-weary Mauser looks the part, but don’t let appearances fool you. The rifle handles extremely well, shoots more accurately than I can hold it, and the action has been honed by heavy field use over the years to a state of slick perfection. All you have to do is sling that big Mauser bolt back and forth in rapid fire to know that The Beast won’t let you down. I chronographed the 20-inch Mauser with 300-gr. 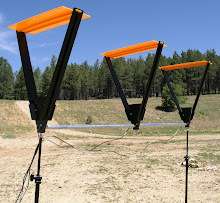 bullets at 2500 fps (in the thin air up at 7,000 feet), about 200 fps less than the same ammo out of the 25-inch CZ. I’m sure the lions and tigers and buffalo and elephant in The Beast’s wild and wicked past never noticed the difference. The sheer character of this gun undoubtedly made up for any piddling loss of muzzle velocity. Renown Flagstaff pistolsmith Gary Reeder built a custom .375 H&H on a pre-64 Winchester for his wife. Colleen Reeder has put the Bastogne-stocked, muzzle-braked .375 H&H to good use on North American bear and African plains game. 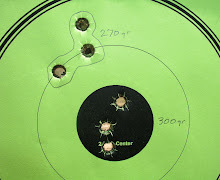 With its 20-inch barrel and muzzle brake, the feminine beauty chronographed through my flawless Oehler 35P at 2450 fps with Hornady 300-grain FMJ roundnose solids, some 200-250 fps less than the same ammo through a 25-inch barrel. Granite Mountain Arms in Prescott, Arizona is mostly in the action-building business, producing five sizes of the “New American Mauser” with precision CNC machining equipment using 8620 bar stock and a lot of hand finishing work. After machining and before hand finishing, each action is case hardened, not a common practice is this age of mass production. A .700-inch bolt diameter is used for the .375 H&H. GMA actions are used exclusively by several renown custom gunmakers. A limited number of full custom rifles are also produced by GMA in collaboration with some of the best gunsmiths, engravers and stockbuilders in the country. The top-of-the-line 75 Deluxe is exactly what we’ve come to expect from Sako. Impeccable. The stock design, with a Monte Carlo cheekpiece, a goodly drop at heel and a comfortable palm swell, soaks up an awful lot of .375-class recoil. The rifle features three locking lugs, five guiding surfaces, a mechanical ejector, and free-floating cold-hammer-forged barrel. The gun handles extremely well and operation is as smooth as it gets in a premium-quality factory rifle. Weatherby rifles are not overly popular in Africa. For one thing, Weatherby’s notoriously high-pressure proprietary loadings suffer from extraction problems in African conditions. For another, push-feed actions are looked upon with suspicion by anyone hunting dangerous game for a living. The definitive Weatherby cosmetics hunters have come to love or loathe are nowhere apparent on what the company calls its Dangerous Game Rifle. The finish is dull and the stock is synthetic, though it retains that great and shootable Weatherby shape which I’ve always considered the best thing about these well-made rifles. While we’re at it, I’ll go on record as one who can’t stand the look or feel of dull metal and synthetic stocks. No matter what the non-hunting promotional departments of manufacturers tell you about how a little sunlight shining on your barrel can frighten the bravest of beasts and how a chunk of wood left on the bottom of the Zambezi River for six months can warp. Rifles are made like this because it’s substantially cheaper to blue steel without polishing it first and to stamp out a piece of fiberglass or something instead of finding and carving a piece of decent walnut. The money thus saved by the manufacturers can then be spent on marketing and advertising and public relations trying to convince you the rifle is not ugly. Unpolished metal and synthetic stocks should be left to the military, who admit they do it because it’s cheap and don’t care if it’s ugly. That said, the metal finish of the Weatherby is of a high quality if not an exciting sheen, and the stock is by far the best of this unnatural breed I’ve ever seen. Weatherby undoubtedly had to bend over backward to build an ugly rifle, as this is certainly not what they’re known for, and was obviously prepared to go only so far. Chambered in the proven .375 H&H cartridge, and setting the push-feed-action question aside for the moment, this Weatherby has a lot to recommend it. Nine locking lugs allow an extremely short 54-degree bolt lift for very fast operation. The rifle is guaranteed to shoot 1 ½” groups from a cold barrel using premium ammo. An observer at a recent Zimbabwe Professional Hunter Proficiency Exam reported that the rifles most used by students were CZs in .458 Lott, while the rifles most used by the professionals were CZs in .458 or .375 H&H. This is a high recommendation of the CZ action indeed, as both students and professionals in these trials are preparing for life-and-death encounters with their rifle as their only tool. While the CZ is known for its reasonable price, this is not the reason for its overwhelming preference among professionals and soon-to-be-professionals. The CZ action has long been one of the most respected Mauser renditions in the world. During the Cold War, when Czechoslovakia was occupied by Kalashnikov-wielding zealots of the Soviet Union, CZ’s magnum Mauser action was called the Brno ZKK 602 because the Russians decided to demonstrate the efficiencies of communism by decreeing that every firearm coming out of then-Czechoslovakia would be marked Brno (the name of a town), no matter that they were made by a highly respected firearms company founded in 1936 called Ceska Zbrojovka a.s. Uhersky Brod. “Ceska Zbrojovka” means “Czech weapons factory,” and Uhersky Brod is also the name of a town, though in defiance of Karl Marx’s unique line of reasoning it happens to be the town where the rifles are actually made. (God only knows what ZKK meant.) Now that the Czech Republic is a free country and Ceska Zbrojovka is one of the largest firearms manufacturers in the world, the famously rugged Brno 602 has become the CZ 550, and the company’s old-world craftsmen are allowed to give it the finishing touches and refinements it deserves. 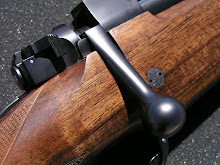 In addition to the fact that the CZ 550 Safari Magnum is every inch a double square-bridge C-ring commercial Mauser with claw controlled-round feeding and fixed ejector, the only visible difference being scope-mounting dovetails machined into both bridges à la Sako and Ruger, it has two features that are extremely rare in the United States and in my opinion highly desirable: a bent stock and a set trigger. The CZ’s very well designed European stock with a Bavarian cheekpiece and the proper drop at comb and heel makes it possible to shoot the rifle blindfolded, should such a need ever arise. And the single-set trigger is a better aid to accuracy than a thousand-dollar scope. If you want to cure a bad case of flinching, a malady that infects many big-bore shooters from time to time, use a set trigger –- your flinch will not be able to keep up with it. As an unfortunate aside, when CZ re-discovered free enterprise they must have hired some American marketing undergraduate away from the M&M candy company and allowed him or her to talk them into the giant billboard school of branding and trademark protection. The resulting visual horror stamped in huge block letters on that beautiful CZ Mauser action, however, is not something that a good gunsmith with refined tastes cannot make disappear. They do it to the unsightly warning labels on Ruger barrels all the time. Speaking of barrels, the CZ’s is 25 inches long, which is very long indeed. Weight, unloaded and without scope, is 9.3 pounds which is about right for a .375. The big drop-box magazine holds five rounds of .375 H&H. The express sights, one standing and two folding, would be alright as express sights go if the front bead were large enough to see with the naked eye. Oh well, if factory rifles were perfect they would not be fulfilling one of their purposes which is to justify all those endless committee meetings where puffed-up executives, whether of communist or capitalist stripe, get a chance to express the frustrations they’re subjected to by their wives and teenage kids. Besides, that’s what lone gunsmiths are for. I must say, despite the pleasant distractions of half a dozen other fine rifles competing for my attention over a period of several months, with factory rifles ranging in price from $800 to $3,000 and the custom jobs climbing up to $10,000, my focus remained on the CZ, and not because it was the role representative in the $800 price category. There is something fundamental about this rifle I really like, and I could not bring myself to stuff it in a cardboard box and send it back to Kansas City on a UPS truck. I bought the gun and now I’m going to send it to finishing school. For one thing, the 25-inch barrel is about three inches too long for my tastes. And the only thing wrong with the nicely proportioned Turkish walnut stock is that they must grow some very homely walnut trees in Turkey. Gary Goby of Goby Walnut Products assures me they grow much prettier in Oregon and is prepared to prove it. Stockmaker Bob Szweda of Prescott, Arizona, is anxious to teach the European gun to speak a little refined English while retaining its good fit. And, of course, the CZ could do with the same treatment you would give any factory rifle -– have a good gunsmith go through it, smooth it out, polish it up, lap the action, adjust the trigger, and erase all the billboard advertising and legal notices from the metal. 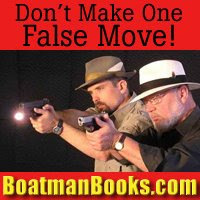 Chick and Russell Menard of Mayer, Arizona, will correct these typical factory flaws, especially the factory trigger whose set pull is fine indeed but whose unset pull is as rough and creepy as can be. They’ll add a few of their special touches and put a shiny new blue-job on the finished gun. It’s amazing what you can get with the application of a little professional skill and craftsmanship to a factory rifle as strong, sound and superbly designed as the CZ. But listen, if you’re in the market for a .375 Holland & Holland there’s not one of the rifles in this story that’s not worthy of your consideration. And if you’re not in the market for a .375 H&H, it could only be because you’ve already got a half dozen of your own. From the top, CZ 550 Safari Magnum, Weatherby Dangerous Game Rifle, Sako 75 Deluxe. Gary Reeder’s custom pre-64 Winchester sported a full Mannlicher stock plus muzzle brake. Granite Mountain Arms magnum Mauser action is super strong and the workmanship is impeccable. Iron sights on the CZ were on with 300-grain loads, a little off with 270-grainers. All loads were chronographed with the top-end Oehler 35P. Premium .375 H&H ammo is available all over the world.